Fitness Guru Andrea Riggs Starts Her Day with Egg White Delight McMuffi! This winter, a new and healthier breakfast option is available at my local McDonald’s. Atlanta area McDonald’s restaurants have introduced a new wholesome menu item called the Egg White Delight McMuffin. I got the chance to try out this new creation and you can read my review to see how I liked it….let me just say that not a crumb was left behind that morning! The Egg White Delight McMuffin is freshly prepared with 100 percent egg whites, freshly cooked on the grill with melted white cheddar, a slice of extra lean Canadian bacon and served on an English muffin, made with 8 grams of whole grain. A delicious start to a chaotic day! 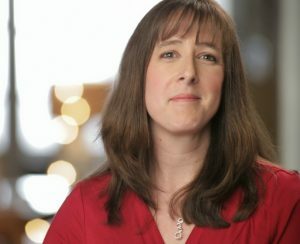 McDonald’s is celebrating the debut of this new breakfast creation by partnering with local author, wellness guru and celebrity trainer Andrea Riggs as she shares Five Ways to “Get Body Beautiful” and Stay Healthy Over the Holidays. With the chaos of errands, shopping, holiday parties, and so much more we often have no choice but to hit the drive-through. And just because we have to grab our food to go doesn’t mean it has to add inches onto our waistline! Making healthy choices at the drive through like the Egg White Delight McMuffin is one way to ensure that you will still fit into your pants come January! Here are a few more tips from Andrea Riggs to help you stay healthy on the go! Eating breakfast will help you feel full and may make it easier to stay healthy over the holidays. 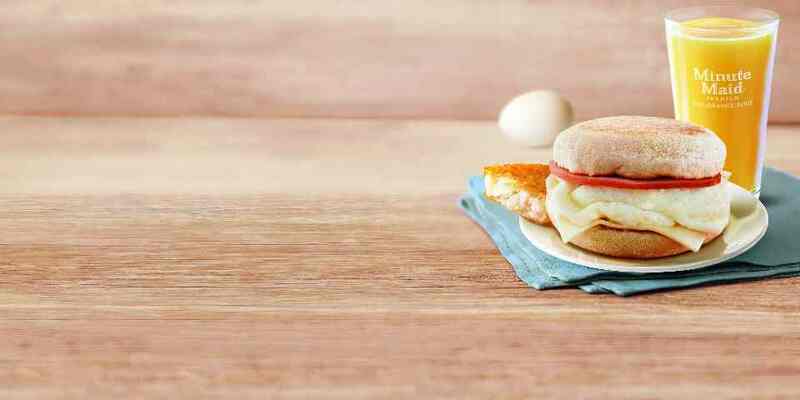 McDonald’s makes it easy with their latest wholesome offering, the Egg white Delight McMuffin. The secret ingredient is approximately 200 calories of lean protein, with 100% egg whites on grill and an extra lean Canadian bacon and a whole grain English muffin with extra fiber. The extra protein in the a.m. and the whole grains will help you feel more satisfied to control your appetite and boost your metabolism with lots of flavor at 260 total calories. Just as you would any other appointment, schedule short strength workouts to build the lean muscle necessary to keep your body burning more calories each day. In order to achieve a total body workout, a set of 25 repetitions of push-ups, standing squats and standing leg lifts. The key is to perform exercises as a circuit to achieve a high intensity session in as little as 10 minutes, three days per week. If you have a set of light hand weights, my favorite moves are a squat press and a lift raise to engage the upper, lower and mid-section in a single standing movement. Grab a bottle of Dasani water on the go or start filling up your water bottle in the morning to help you fill full and avoid extra drink calories that you can save for snacking or a holiday meal. You will need to drink half your body weight in oz. of water each day or target 5 – 6 bottles. One handy trick is to buy a 64 ounce water jug and fill it up in the morning or simply grab a few extra bottles to drink in your car by the end of the day. You probably aren’t aware how many extra calories you can burn each day by just walking during the course of the day. A few laps around the parking lot after dropping off your children at school, a few blocks during your lunch break, or an extra 10 minutes walking the neighborhood while you are waiting for your dinner meal. With very little effort you would have achieved a goal of 30 minutes of physical activity to compliment and alternate with your scheduled strength training sessions. It is more important than ever to have healthy snacks handy in your purse, car, office and at-home in you your kitchen. The more convenient they are, the more likely you are to eat them. So instead of thinking about all the foods you shouldn’t eat during the holiday, stock up on fresh apples, salad mix, almonds or walnuts, cheese slices and yogurt and promise yourself to eat 3 to 5 healthy snacks each day. And if you need a healthy snack on the go, check out my favorites, the McDonald’s Fruit & Yogurt parfait or Fruit and Walnut salad made with fresh wholesome ingredients and the perfect portion sizes for a midday pick-me-up at about 200 calories, about 10% of the calories you need to keep your body digesting and metabolizing during the day. Watch Andrea’s video or check out her website for more information! Disclaimer: The Greater Atlanta McDonald’s Operators Association (GAMOA) partnered with bloggers such as me to help educate us all about the new Egg White Delight McMuffin. As part of this program, I received compensation. They did not tell me what to purchase or what to say about the use of the product. GAMOA believes that consumers and bloggers are free to form their own opinions and share them in their own words. GAMOA policies align with WOMMA Ethics Code, FTC guidelines and social media engagement recommendations. A winner will be chosen by random and voucher fulfillment will be handled by a third party.